It is our mission to be the very best steward of the precious resource that is on loan to us by our Creator and to produce premium water and beverage products in a safe and environmentally responsible manner for future generations to enjoy. We believe the natural spring water bottled on location demonstrates our dedicated commitment to good stewardship of our environment. Many other bottles have to transport water to their offsite bottling facilities thus impacting roads and our atmosphere with trucking emissions. By bottling from the natural source on site we eliminate at least 50% of the transportation impacts that other bottlers create. We only harvest a small percentage of the daily output and flow from the natural spring thus minimizing the impact on the water table and the environment. In fact, we harvest directly from the artesian spring cavern which produces natural flow of the spring water and not from a man-made bore hole or well like other bottlers that have punched into our aquifer for water extraction. We believe in sharing the life-giving attributes of the spring water……by creating custom labels for businesses to market, we provide the opportunity to promote one’s own brand of spring water by printing custom labels on the bottle. Have you ever heard that your body is made of 60% water? At Orange Springs Bottled Water we feel that the type of water you drink makes the difference! 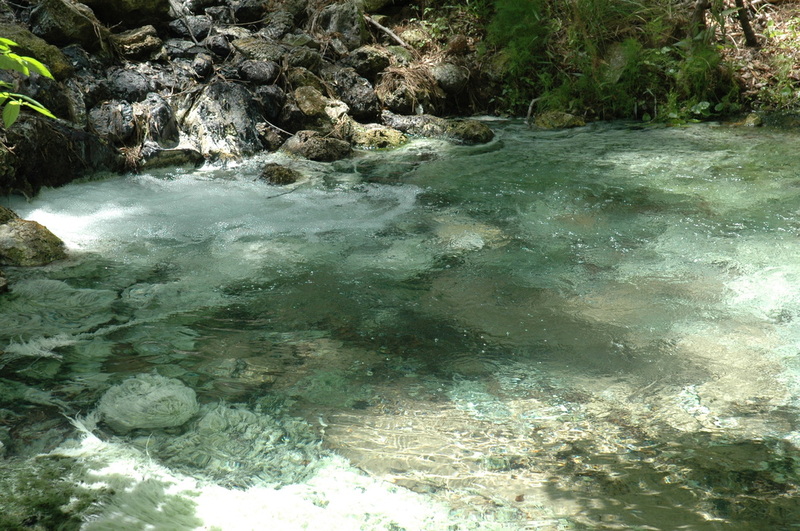 There is nothing as pure or as refreshing as natural artesian spring water. Please review our water analysis prior to making a decision about your source for spring water. 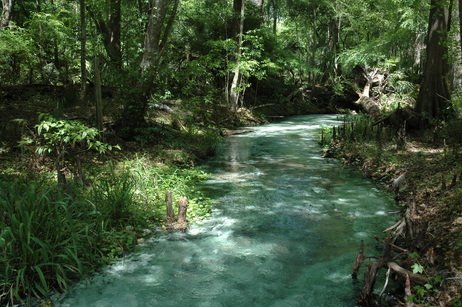 The high quality Artesian Spring water that we collect has been in use for hundreds of years and has been hailed as the best drinking water in Florida by locals and numerous visitors to our spring site. "When you drink the water, remember the spring." Because the spring deserves nothing less…. That we have the ability to successfully perform this task. To the water and to the land. Our mission is to be truthful…and forthright. To work hard and smart, plan and execute well. To efficiently share the life giving attributes of the spring water. To bear in mind the impact on the environment. And remember that this Masterpiece is not, really, ours at all. Who has allowed us to play a small role in its stewardship. With ourselves, our community, and our planet. And with…. The Father, The Son, and The Holy Spirit. Jesus answered and said unto her, But whosoever drinketh the water that I shall give him shall never thirst; but the water that I shall give him shall be in him a well of water springing up into everlasting life.